So you’ve mastered (or not) coding backdoors or finding vulnerabilities in software and now you want to interact in meatspace? Hardware hacking is your vector to bypass a devices physical or electrical controls but getting started can be overwhelming. Don’t know the difference between flux, a capacitor or a flux capacitor? Additional soldering kits and projects will be available for purchase during the class and at the conference for practice and skill development. 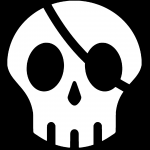 The Badge Pirates team is a group of makers and hackers that came together in 2016 and created their first unofficial Defcon badge. Since then we have designed and made multiple projects including the official conference badges for the Bsides KC 2018 and 2019 conferences.